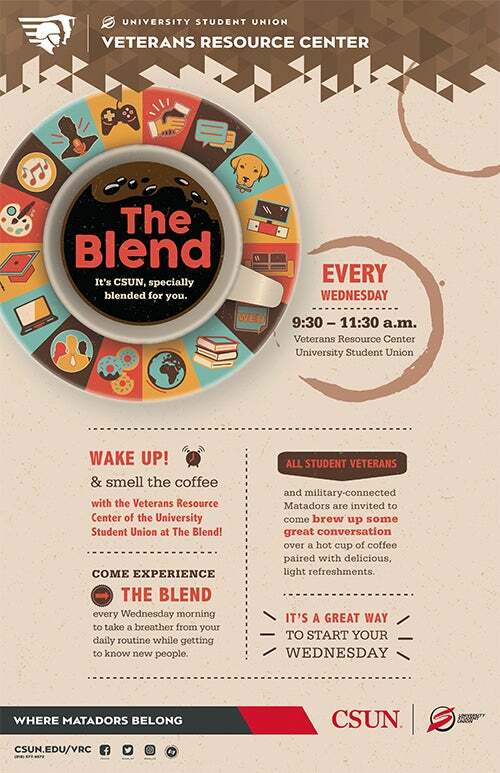 Take a break from your daily routine and enjoy good conversation and some light refreshments with fellow Veterans and other CSUN students with military connections – all blended together. Whether you can only drop by for a few minutes or want to hang around for a while, take some time out to experience The Blend at the Veteran’s Resource Center. The Veteran’s Resource Center is partnering with the VITA Tax Prep program to provide military-connected students with free tax preparation during tax season. For more information, visit the CSUN VITA Clinic webpage. All Student Veterans and their families are invited to an exciting day of non-stop good times at the Veteran Resource Center’s Family Fun Day! Bring the whole family to enjoy free food, swimming and prizes.